Wearable computer vision at the "Internet-of-things" scale requires massive amounts of local signal processing, coupled with advanced multi-standard/multi-mode communication capabilities. From the computational viewpoint, the challenge is formidable and can be addressed only by pushing computing fabrics toward massive parallelism and brain-like energy efficiency levels. We believe that CMOS technology can still take us a long way toward this vision. Our recent results with the PULP (parallel ultra-low power) open computing platform demonstrate that pj/OP (GOPS/mW) computational efficiency is within reach in today's 28nm CMOS FDSOI technology. This energy efficiency level enables the embedding of several key computer vision tasks within a few mm2 of silicon ad a few mW of power. Looking forward, to multi-megapixel imagers and multi-modal sensor fusion, even pj/OP won't be enough, and we will need to fully exploit the flexibility of heterogeneous 3D integration, stop being religious about analog vs. digital, Von Neumann vs. "new" computing paradigms, and seriously look into relaxing traditional "hardware-software contracts" such as numerical precision and error-free permanent storage. Luca Benini is Professor of digital Circuits and systems at ETHZ. He is also professor at University of Bologna and he is currently serving as Chief Architect for the Platform2012/ST HORM project in STmicroelectronics, Grenoble. He received a Ph.D. degree in electrical engineering from Stanford University in 1997. Prof. Benini's research interests are in energy-efficient system design and Multi-Core SoC design. He is also active in the area of energy-efficient smart sensors and sensor networks for biomedical and ambient intelligence applications. He has published more than 600 papers in peer-reviewed international journals and conferences, four books and several book chapters (h-index 69). He has been general chair and program chair of the Design Automation and Test in Europe Conference. He has been a member of the technical program committee and organizing committee of several conferences, including the Design Automation Conference, International Symposium on Low Power Design, the Symposium on Hardware-Software Codesign. He has been Associate Editor of several international journals, including the the IEEE Transactions on Computer Aided Design of Circuits and Systems and the ACM Transactions on Embedded Computing Systems. He is a Fellow of the IEEE and a member of the Academia Europaea and has served for two terms as a member of the steering board of the ARTEMISIA European Association on Advanced Research & Technology for Embedded Intelligence and Systems. The prevalence of camera phones has enabled video conferencing to move off the desktop and out into the world and people are increasingly using smartphones to capture and share events with friends or family who could not be there in person. However, smartphones are limited for sharing some experiences because they are not-hands free, and are hard to use to capture unanticipated events. Wearable cameras offer a unique opportunity to create next generation shared experiences where people can easily connect with remote friends and family. This talk will showcase our early explorations of the potential of video conferencing + wearable cameras to connect people during everyday activities or special events. I will highlight the opportunities afforded by wearable cameras, as well as the challenges introduced to help inform the design of future wearable cameras and systems to support rich shared experiences. Results from this work reveal the potential of wearable cameras to enhance video communication and move beyond talking heads to enable remote people to truly “be together” and “do things together”. Dr. Kori Inkpen is a Principal Researcher at Microsoft Research and Manager of the neXus Group. Her research interests are in the fields of Computer-Supported Cooperative Work and Human-Computer Interaction and her work explores innovative computing environments to support natural, seamless collaborative interactions, for both work and play. Her current focus is on how video is changing the way we communicate with others, and the potential it offers to transform the way we interact with friends, families and colleagues, both near and far. Dr. Inkpen has organised many international conferences including Technical Program Chair for CHI 2015, Conference Co-Chair for CSCW 2010 and Conference Co-Chair for Group 2007. 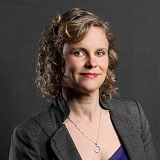 Prior to joining Microsoft she was a Professor of Computer Science at Dalhousie University (2001-2007) and Simon Fraser University (1998-2001).